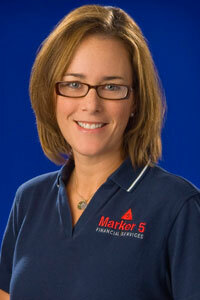 In late 2003, Marker 5 Financial Services was founded to provide a new level of service within our industry. Marker 5 now enters its 7th year as a leading provider of retail financing, having changed the standard of quality, reliability, and service in our industry. 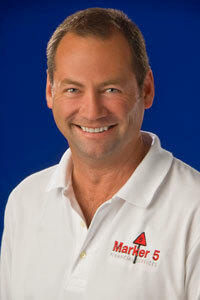 I began my career in the marine industry at Boat Tree, Inc. in Orlando, FL, in 1993. I worked as an accountant while completing my degree at the University of Central Florida. From accounting I made the transition into the finance department where I accepted the position of finance manager. In 1997 I relocated to Jacksonville, Florida to assist in the opening of a new location for Boat Tree. In addition to being the finance manager I also assumed the responsibities of operations manager. In 1999 I was offered an opportunity in Fort Myers. I relocated to Fort Myers and worked as the finance manager for Mid Island Marina. In the fall of 2000 I made the decision to join a larger corporate dealership and moved to Travis Boating Center. I was with Travis Boating Center in Fort Myers until December 2004 at which time Marker 5 Financial Services was born. We recognized a need in our industry as a whole. Our goal at Marker 5 is to create mutually beneficial relationships with our dealers and customers in an effort to fill a troublesome void that all too often leaves both the dealer and the consumer unsatisfied. My career in the marine industry began in 1994 at Boat Tree, Inc. in Orlando, Florida. I performed a variety of functions while completing my MBA and ultimately landed in the finance department. I was a finance manager in the Orlando location until 1998, at which time I relocated to the Charlotte, NC store. In 1999 I moved on to Wher-rena Boat Sales in Cornelius, NC as the finance manager. In the fall of 1999 I relocated back to my home state of Florida. I moved to Fort Myers where I accepted the position of finance manager with Boater's Landing, Inc. I remained at Boater's Landing until December 2004. 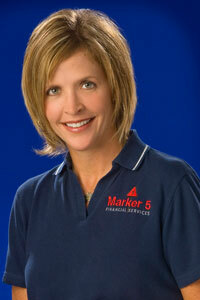 In December 2004, together with my partners Angie Marsh and Bob Schmid, we started Marker 5 Financial Services. With our years of experience and expertise in marine dealerships we knew that we would be able to provide an invaluable service to a multitude of dealers and boat buyers. My career in the marine industry began in the early 1980's with The Dry Land Family of Marinas. This was a large corporation with multiple locations throughout western Michigan and the west coast of Florida. While at Dry Land I attended Michigan State University where I graduated with a BA in Finance. Upon completion of my degree I decided to continue my career in the marine industry. I accepted a position with Grand Isle Marina in Grand Haven, Michigan. After two years as General Manager at Grand Isle I sought a warmer climate and relocated to SW Florida. I relocated in January of 1990, at which time I became a managing partner in 3 Seas Marine. At that time 3 Seas was the area Carver, Robalo, and Monterey dealer. In late 1999 we sold 3 Seas to Travis Boating Center. I stayed with Travis as the General Manager and the Yacht Division Manager for South Florida until 2002. I then took some time off before working for Galati Marine in Naples, who had just taken on Carver. While at Galati and in talking with prominent dealers in SWFL, it became clear that there was a need for marine retail financing in our area. Finally, in January of 2006 I was elected on the Board of Directors for the Southwest Florida Marine Trades Association.